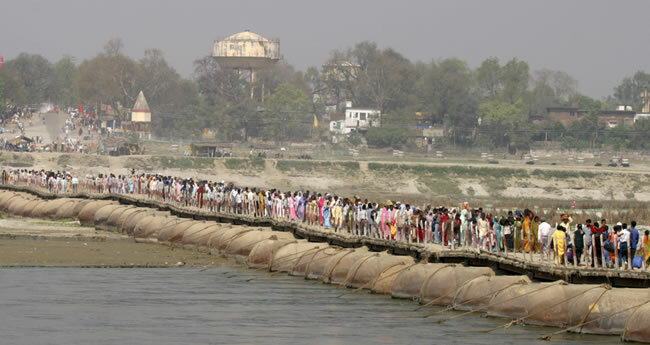 Maharaji told the story of a queen who was taking a bath one day. She took off her necklace and put it on a table. A crow saw the necklace through the open window, flew into the room, grabbed it, and flew away. The crow brought it to a tree where he then tried to eat the necklace. When the crow did not find the necklace to his liking, he just left it there lying on a branch. The queen was desperate: her favorite necklace was gone. When the king came back home that night, he found her in disarray. He offered to get her a better necklace, but she said that no other necklace would do. She wanted that necklace. The king announced that whoever would find the necklace would get a reward. Some people in his kingdom looked for the necklace but could not find it. The king increased the reward. More people looked, but still could not find it. In despair, he said that the person who would find the necklace would get half of his kingdom. Everyone in the kingdom started searching. There was a canal filled with dirty water near the palace, and under a tree, someone saw a reflection of the necklace in the water. So the person took off his clothes and jumped into the dirty water. When some other people saw him jump in, they suspected that he had found the necklace and they jumped in, too. Soon, some police officers passing by saw what was happening and jumped in, too. The head of the police who was passing by jumped, too, hoping he would be the one to find the necklace. None of them could find it. They all saw that the image was still there, and so they concluded that it was an illusion. Maharaji said we are the same. The real love is within, but we look outside for it. We try to look for it in this world's dirty water. Many people take off their clothes and jump into the world's dirty water in the hope of finding the love that they are looking for. When they do not find what they are looking for, they say that they will find it after they die. But, he said, if what they are looking for can be found after they die, why do they have life now? What sense does this make? Why were they created? Why does this breath come and go into them now? Why is it that within us there is a thirst for love, if love is only to be found after death? 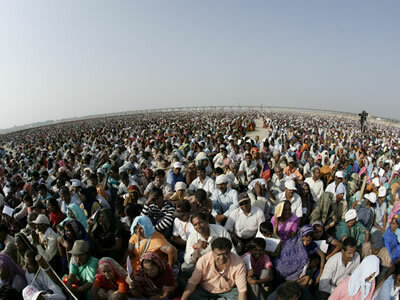 Maharaji observed that everyone wants their life to be successful. Not a single person does not want to succeed, in their own way. For some people, success is having a large family; for others it is amassing wealth or gaining a position in society. 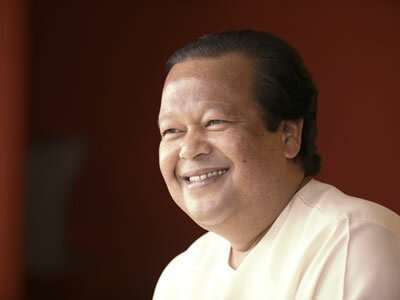 Maharaji said the role of the teacher is to remind people that what they are looking for is inside of them. He challenged the people, asking them if they realized how much they have received already. So much has been given already, he said, what is needed is to accept it. Gifts started with the first breath that was given to us. Each breath that comes is the touch of the creator. Sadness, he said, is when the breath comes and we do not recognize it. The biggest heaven is here. Those who do not recognize that are in the biggest hell because, while they have the capability to recognize, they do not. 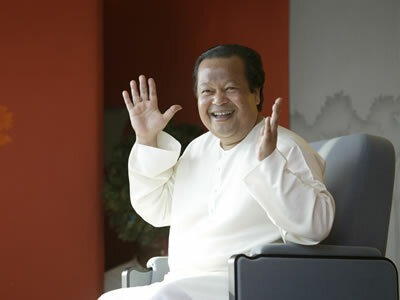 Maharaji reminded everyone how precious life is. While we came empty handed, he said, there is no reason to go empty handed. It is important that no day, no moment, goes wasted. He reminded everyone of how important it is to have peace in their life. To do that, he said, we need to stop cheating and hiding ourselves from ourselves. Whenever there has been a call from our heart to find fulfillment, to find joy, we have said, “No. I am busy now. I have other things to do.” If this is not cheating the self, what is? One day, he said, all that came from this earth has to go back to this earth. What once was ash will be ash again. Each of us is sitting on a gold mine; there is a gold mine within each breath. If we dig into this mine, we will be richer than we can imagine. He concluded by saying that we should make our life successful. We should be rich. Richness, he said, is love inside. Richness is peace in the heart. The day we are clear about this, all the questions will go away.